San Francisco, has worked to ban these objects. 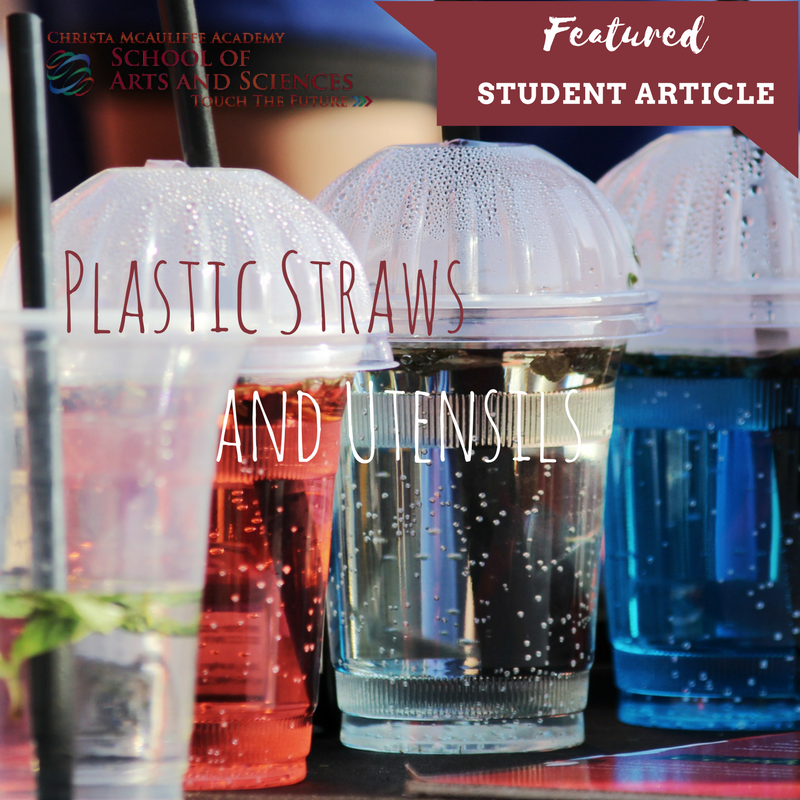 They say that “Banning plastic straws don’t affect the big restaurants but they do for the small cafes.” This can easily be avoided just like the plastic shopping bags that you can find anywhere (Stop and Shop, walmart, H&M, Starbucks, and Marshalls). By banning these straws this can reduce the constant trash pollution, and choking. It can happen just like getting into the habit of bringing their own shopping bags, but only learn how to stir and drink without these intoxicating objects. There are those types of people who say “ Then why not make the material recyclable?” Yes! Why don’t we, but how can we achieve that, when no one even put plastic cups, in the green/ blue recycle bucket? Then there are those types of people who say “Just ban them, what's the problem with using the stainless steel spoons to stir?” Of course but who is going to pay for them? Then the idea is immediately dropped because paying for a pack of steel spoons is to hard. This goes with plastic spoons, forks, and knives as well. They too have the same effect that the black stirring straws have on the environment. If you and your family deeply cares about the environment why do you use plastic utensils and plastic stirring straws? Next time you get coffee please refrain from using these straws, and it could be a useful tip to carry around a stainless steel spoon in your bag.